Making the move to a new city is a stressful process on its own. Add in the hassle of moving your life across the country with you, and suddenly the excitement and anticipation of life in a new place has diminished into a major headache. One of the most important things to do in a chaotic situation like moving is to create a detailed and organized to-do list. 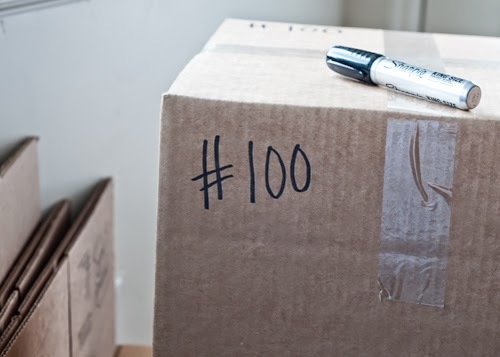 List out the boxes you have already shipped to your new home, the boxes that are traveling with you, and any other details you need to complete like canceling any subscriptions or changing your address on all of your important documentation. To make the process even smoother, make sure your new home has already been set up with essentials like TV and Internet. For the best deals, search by company and city. For example, if moving to Texas, search DIRECT TV CORPUS CHRISTI in order to find the best service deal. While it’s unlikely moving companies will be willing to move you across the country, you can at least hire movers to carry the heavy furniture items into your moving truck. They have an efficient process, and know how to protect your fragile furniture for a cross-country move. And, if you hire from a large company with locations in all states, you can likely set up an appointment with the company to help you unload your truck when you arrive at your new destination. Many people skip the step of hiring movers, for they assume they can do it themselves. However, with the hassle and stress that moving inevitably brings with it, save yourself the trouble and allow a moving company to deal with the bulk of the weight. To consolidate on boxes, use luggage and duffel bags as packing material. Since you have to move them anyway, you might as well make use of them and pack clothing, towels, and bedding in them. Towels and bedding also make for great packing wrap for fragile items like fine china and decor mementos. Don’t skimp on the packing materials. Moving your entire life from its current location into boxes is time consuming. Make it easy on yourself and have plenty of material at your disposal. If you have to stop every couple of hours to run to the store to purchase more boxes and other materials, the packing process will feel never ending. Additionally, always be on the lookout for free boxes behind shopping center and at recycling centers. Any important documents like birth certificates, school records, new job contacts, recent bank records, current bills, closing papers, passports, etc. should be kept with you at all times during the move. This ensures that should anything happen to any of your boxes, you have what is important with you. These simple tips will make the tough process much more bearable.